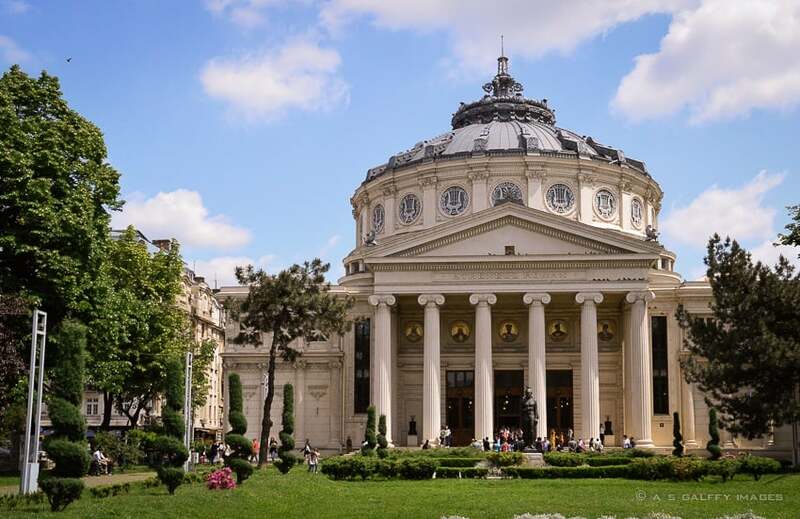 This week’s photo features the Romanian Athenaeum, the heart of Romania’s classical music tradition and the most prestigious cultural venue in Bucharest. My connection with this magnificent concert hall goes back to my childhood and youth years. It was here that I first saw the famous Sergio Celibidache conducting Enescu’s Romanian Rhapsody. And it was also here that I attended the concerts of the Doctors’ Orchestra which my husband was part of for so many years. The building has a columned porch (peristyle) with six Doric columns. Behind the columns are five medallions portraying former princes and kings of Romania. The whole structure is covered by a beautifully decorated Baroque dome. The 600 seats auditorium features a very ornate ceiling and a monumental circular fresco evoking the most important moments in the history of Romania. The famous Romanian composer George Enescu made his debut here in 1898. 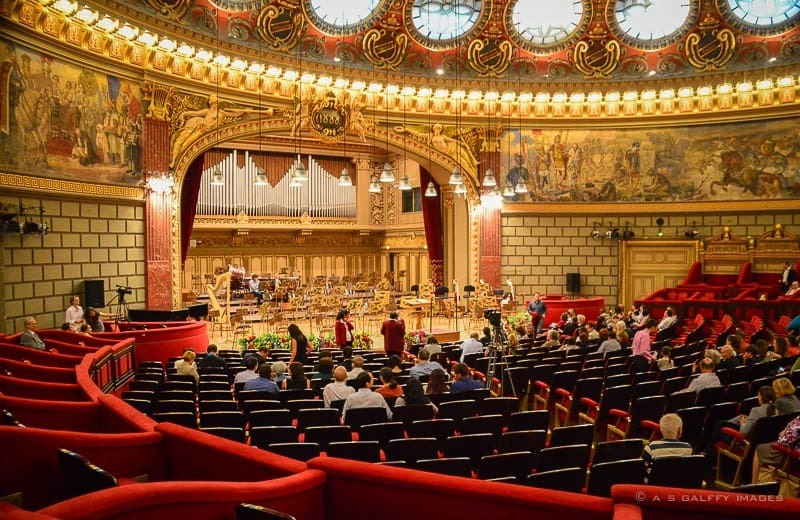 Today the Athenaeum is home to the Romanian Philharmonic George Enescu and to one of the most acclaimed international musical events – the George Enescu Festival and Competition, a great musical tradition in Romania. Anda, What perfect timing! What a gorgeous building. I will definitely seek it out when I visit Bucharest in a few weeks. I can't wait! The Romanian Athenaeum is just stunning, and this is country we need to get to soon. Same here, Vlad. Keep in touch.